Join PotterCast in a continuing adventure through J.K. Rowling's Wizarding World. For eleven years PotterCast has remained your trusted source for discussion, celebration, and interviews with creators and actors from the Harry Potter Universe. 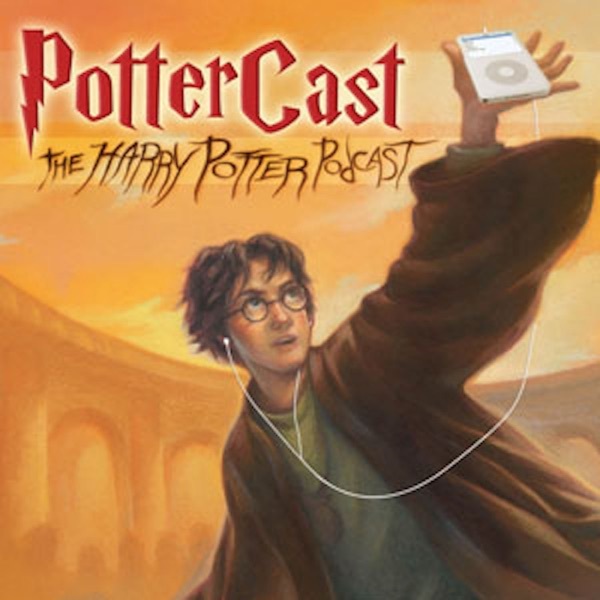 On the 20th anniversary of Harry Potter and the Philosopher's Stone, PotterCast begins its magical chapter-by-chapter podcasting adventure through J.K. Rowling's Wizarding World! PotterCast meets to look back at a unique year of magic and forward to what could be an even more exciting time for the Wizarding World and Harry Potter fandom! Fantastic Beasts is finally here! PotterCast meets to discuss the new film, our first chapter time turning into a mysterious era in J.K. Rowling's Wizarding World. Witches, wizards, warlocks and magical creatures of LeakyCon 2016 join the cast of PotterCast in Los Angeles, California for an emotional and far reaching discussion on the current state of affairs in J.K. Rowling's Wizarding World and what its future holds for us all! Episode 262 — LeakyCon 2016! Visit the-leaky-cauldron.org for the latest and greatest from Harry Potter's Wizard World.